shopping day September 23. It was NON STOP, start to finish. All of their volunteers did a wonderful job. Tim Tebow Foundation “Night to Shine” (February 2018). Tampa and Trinity churches will be picking up soon, and they have reached out to Largo and Plant City. 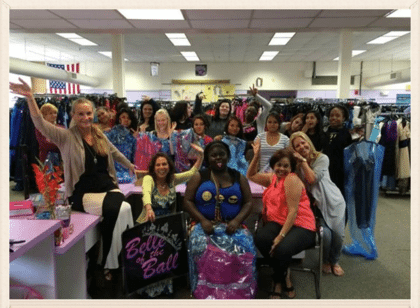 Here is a recap of the event so you can see what a blessing those dresses were to many! Sun Country Cleaners is proud to be able to support this amazing organization and we could not be more overjoyed by the support of all our customers to the communities we serve!